Union membership dropped to 12% of U.S. workers last year, extending a steady decline from the 1950s when more than a third belonged to unions. After membership had held steady at 12.5% in 2005, it declined anew last year, a decrease of more than 325,000 workers, the Bureau of Labor Statistics said. Membership had been 20.1% in 1983, when the bureau first provided comparable numbers. About 35% of American workers were union members in the mid-1950s. The loss of a voice for the masses resulted when unions were marginalized. This permitted both parties to blatant adopt neoliberalism. We need a people/populist party to regain a voice--jk. These actions are in violation of the NLRA's provisions prohibiting employers from firing, harassing, or threatening employees who seek to organize unions. The law goes on contend that individual workers don't have the power to improve their conditions and to present collective action as a cure for the lack of mass purchasing power that produced the Depression: "The inequality of bargaining power between employees who do not possess full freedom of association or actual liberty of contract and employers who are organized in the corporate or other forms of ownership association ... tends to aggravate recurrent business depressions by suppressing wage rates." The current lack of labor unrest, media production of ideas, and congressional pro-business legislation, these all lead to a prediction that the current downward trends in unionization, wages, and benefits will continue for decades. To find out what economics is called the dismal science. There is a fundamental corruption of oversight when the Shepard is in the pay of the wolves. It; is a crime for a judge to receive gifts from those whom he sits and judges. I have always assumed that the elected officials were supposed to promote the well being of the people. Donations influence performance. As of 2004, 6 states have passed funding reform (see http://skeptically.org/parwho/id5.html). A government that served the public wheal would have 4 fundamental changes in expenditures. The military would be about 1/4th of present, interest on the debt ($779 billion) would be zero, and both education and health would be at least doubled. The economic stats are worse than bad: the trend is toward greater disparity of wealth and on top of that the U.S. is loaded with debt and imbalance of trade. 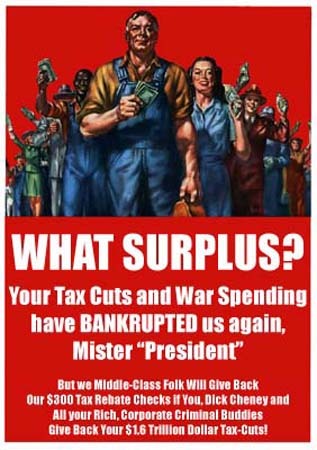 The debt can through fiscal austerity be paid off (as it was under Clinton), but the trade imbalance will only grow due to the dismantling of our industrial base and the setting up of free trade agreements such as NAFTA. To find out what economics is called the dismal science.